← Prove Yourself and Join the Circus! 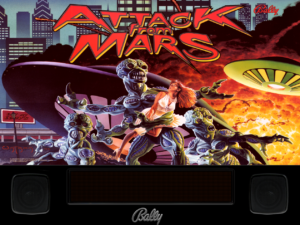 Thanks goes to Chicago Gaming Company for remaking Attack from Mars. Just like the 1995 Bally/Midway (Williams) pinball, the remake is pure fun sprinkled with laughter. Players strive to take out Martian flying saucers hovering over major world cities. Modes that build, multiballs and progression toward wizard mode challenge even skilled players. 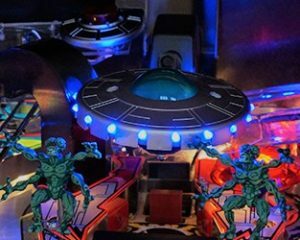 The open playfield with a variety of shots allows beginners to have fun while challenging more advanced players to control shots off the main saucer center target. Leave that shot to chance and players will drain right down the center. Players can also shoot the ball up the Big-O-Beam ramp on the left side and press the Launch Ball button when a cow moos. 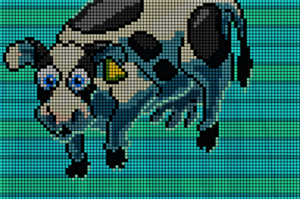 This starts the humorous Cow Video Mode. The second time Video Mode occurs after this, the attack will be made by cows instead of flying Saucers. If all the cows are destroyed, the giant “Mother Cow” will appear. So why remake a fun game? To make it more amazing, more engaging and more fun, of course! Among the features unique to the remakes is all LED lighting. 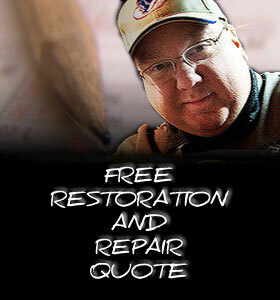 LEDs replicate the warmth and feel of the original incandescent bulbs. They also last significantly longer. In addition, the melamine-finished game cabinet has been upgraded for strength and longevity. The upgraded light effects, sounds and video truly allow the immersive theme and humor to shine through. This upgrade is a keeper! For more information, please contact call or email us.